120 levels of brain teasing gameplay. The addition and subtraction spots on the boards. The “music”, will get to this in a bit. Booting the game up, we get treated to the game’s “score.” I’m gonna keep it clean here, but, its rough. It seems as though the track was an afterthought, somebody tacked on an absolutely brutal piano diddy that loops about every 5 seconds (I’m not kidding, I counted). Let me throw out a suggestion, just turn the sound off and you’ll be alright. At times like this I really wish the PSP had some way to allow custom soundtracks. Now getting that off my chest, we come to the gameplay. 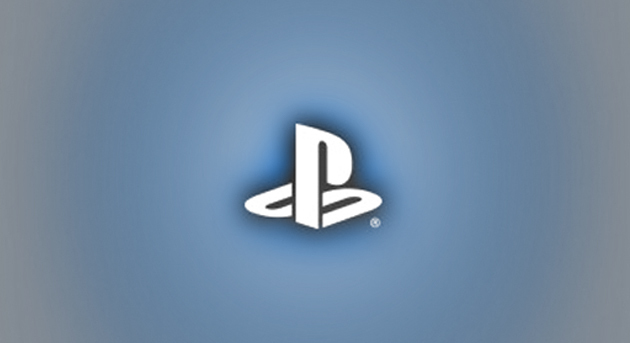 You can choose from easy, medium, or hard settings, each of which consist of 40 levels. 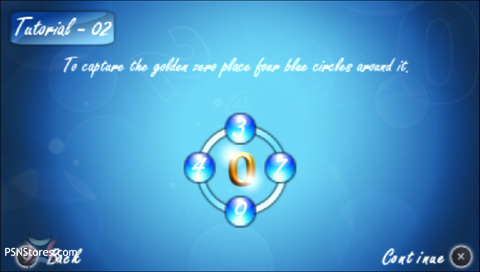 The main objective is to move a group of blue circles to capture the golden zero, or, eliminate all of the yellow circles. 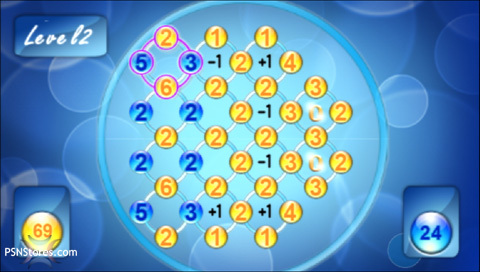 In order to capture a golden zero, four blue circles must be around it. 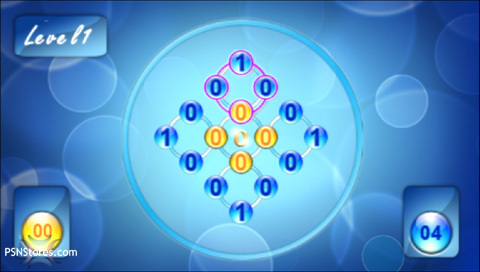 Each circle, whether blue or yellow, has a number associated with it. As you see in the screens, the boards are laid out in a fashion so that you have 4 spots in a ring. You just have to add up the values of the like colored circles in a ring and which ever is higher eliminates the others. This can sound fairly simple, but after the first few stages, this gets really complex! You have to plot out every move you make. Some of the later levels really had me scratching my head, so that’s where circles gives us some redeeming value. 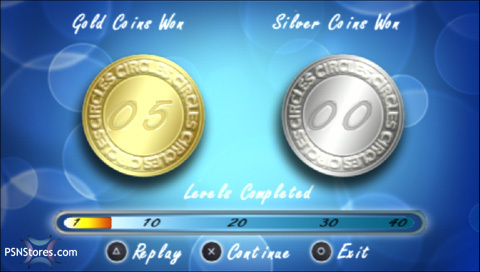 Circles rewards the player with a gold or silver medal depending on how you complete the level. When you lack the minimum blue circles needed to capture the golden zero, a warning message appears in the games hard to read italic serif font. This message annoyingly scrolls up to take up most of the screen and scrolls back down. It gets quite irritating after you see it a few times. Yep, I’ve got some gripes with this one, but these puzzles can get quite challenging. I wouldn’t really recommended this to everyone one, but if you like math puzzles or maybe even something like sudoku. Then you might find enjoyment with Circles.